Music for children in elementary and middle school, access to more athletic programs and extracurricular activities and additional staffing have been voted down again in the East Ramapo School District, where more than 25,000 of its students attend private yeshivas, leaving 8 and a half thousand public school students to face more cuts to its already lean budget. Although the original budget of $237.3 million was under NYS tax cap, voters turned out en masse to vote down creating programs for the less affluent in East Ramapo on Tuesday, June 19, meaning ERSD will now revert to a contingency budget that will trim $4.3 million from a plan to improve athletics, extracurricular activities and building improvement. Staff cuts may also be on the table as a result of the vote. 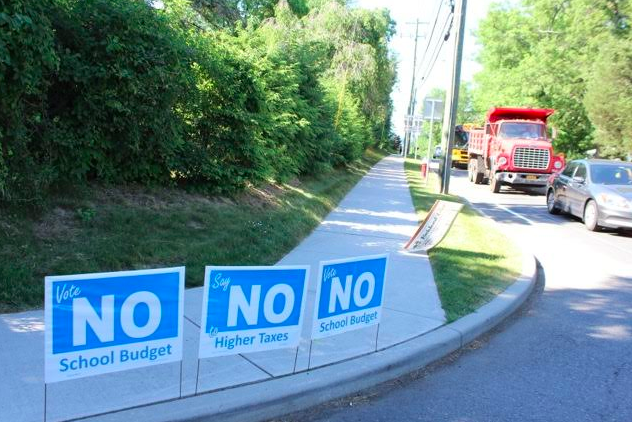 The contingency budget also rules out helping the school district to cover expenses for a federal lawsuit challenging the district’s voting. Although the children who attend East Ramapo School District are bussed to school, ERSD also busses many private school children, often over the 15-mile limit the state requires for non-public school students.